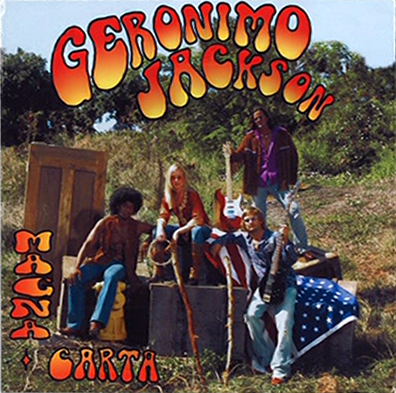 Interest in Geronimo Jackson surged during season 2 of Lost after a copy of their album was found in “the hatch” (or the Swan, as it’s also known) by Hurley and Charlie (who, as “an expert in all things musical,” had never heard of the band). 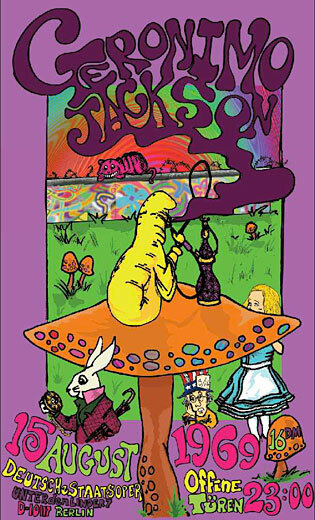 Later on, posters for the band were seen in various episodes, and in the third season episode “Further Instructions,” a character is seen sportin’ a Geronimo Jackson t-shirt. Now, some folks claim Geronimo Jackson never existed and the one-and-only song available by the band, “Dharma Lady,” was actually performed by a San Diego band called The Donkeys. Personally, I prefer to think Keith Strutter is still out there somewhere, working on a commune and planning a comeback.